Motor vehicles are one of the largest sources of air pollution worldwide. And slow moving cars stuck in traffic are even worse for the environment than those speeding along the highway. This makes recent news that traffic is in the United States is back to pre-recession levels even more worrisome for environmentalists, not to mention public health officials and even economists. Yet some transportation experts see reason for optimism. They say revitalized city centers, emerging technology and new modes of transportation are revolutionizing how we get around our urban streets. For this month’s Environmental Outlook, we look at how to improve transportation in U.S. cities. Gabe Klein Former transportation head for the cities of Chicago and Washington, D.C.; author of the forthcoming book, "Start-Up City: Inspiring Private and Public Entrepreneurship, Getting Projects Done, and Having Fun"
Sam Schwartz Author of "Street Smart: the Rise of Cities and the Fall of Cars"; former chief engineer for the New York City Department of Transportation; head of Sam Schwartz Engineering. Technology and innovation shouldn't be things that "happen" to cities - they're things cities can embrace to shape their own future, says D.C. and Chicago transportation head Gabe Klein. He tells us how. MS. TAMARA KEITHThanks for joining us. I'm Tamara Keith of NPR sitting in for Diane Rehm. She's out for a voice treatment. A recent report confirms what many of you already know. Traffic in the U.S. is bad. The average driver spends 42 hours a year in the grind of rush hour. This is bad for the economy and bad for the environment, not to mention our personal lives and sanity perhaps. MS. TAMARA KEITHFor this month's Environmental Outlook, improving transportation in American cities in and out of the car. Joining me in the studio are Samuel Schwartz, former chief engineer at the New York City Department of Transportation and author of "Street Smart: The Rise of Cities and the Fall of Cars." And Gabe Klein, former transportation head of Washington D.C. and Chicago and author of the forthcoming book, "Start-Up City." MS. TAMARA KEITHThanks for being in studio. MR. GABE KLEINNice to be here. KEITHI want to start in the past and I want to understand how we got where we are. How did we become this car-centric culture? When did that happen? Take us back in time, I guess, to your childhood a little bit. SCHWARTZYes, yes. I could do that, but let's go back even further and let's go back to the turn of last century and it's when cars made their appearance and there was a huge battle between 1910, 1925 between the car and pedestrians. And the car, unfortunately, won. And what happened is progressive thinking back in the '20s, '30s and even the '40s was towards modernizing cities and that meant getting rid of transit in many cases. SCHWARTZAnd a lot of it wasn't accidental. A lot of that image was created by the auto industry itself, that bought up a number of transportation companies, transit companies, streetcar companies. So if you go back in time, 100 years, to Los Angeles, you would see LA filled with pedestrians. You would see Broadway at 7th busier than Time Square in New York. You would see streetcars running up and down and cross town. City after city had transit lines built from about 1880 to about 1930 and we destroyed almost all of them between 1930 and 1950. SCHWARTZUltimately the auto industry, a number of them, General Motors, Firestone Tire, Standard Oil, were convicted of a conspiracy and they were fined $5,000. KEITHIs this the plot of "Roger Rabbit"? SCHWARTZYes. It's exactly "Roger Rabbit". SCHWARTZAnd I love that scene where the detective is offered a ride in a car. He says, a car in LA? Who needs a car in LA? It's got the best transit system in the world. So, you know, we had great transit. KEITHWell, and then, you know, 20 years later -- or not 20 years later in time, but -- and then, there's that movie "Swingers" where there's this group of guys and they're all going go out in LA and they're like, what? Share a car? We're all driving separately. SCHWARTZYeah. And, Tamara, what's sad is the last 20 years, we've seen fewer and fewer people sharing cars. And I know Tim Lomax is on a little bit later. Part of it is we've gone from 20 percent sharing cars, which was very low, down to 9 percent now. So in the past 50 years, we saw this trend of building more roads, making everything more accommodating for the automobile, destroying parts of our inner cities with highways that went through them and as a result, we suffer in terrible congestion. KEITHAnd then, to get to the part that is your childhood, the suburbanization. SCHWARTZYes, yes, you know. It brings a tear to my eyes every time I have to talk about that. But virtually everybody left me, including my Brooklyn Dodgers, in the 1950s, going to LA. My siblings all moved to the suburbs and I felt I was left alone in Brooklyn. And as a result, I developed this real love for the cities. I cared about cities and ended up in a career in transportation. KEITHAnd Gabe Klein, why is it important for us to know this history, to understand this history? KLEINYeah, and Sam's one of the best people to tell these stories, because if you don't your past, you can't know your future, you know. And tend to look at things through a very particular lens, which is our lifetime. What have we seen in our lifetime. And I have met people here in the District who remember riding in the streetcars. I've met people in their 70s and 80s who love the streetcars and they talk to me about how -- one particular family I always remember in Ward 5, I met with, and they said, look, you know, when they got rid of the streetcars, they disconnected our neighborhoods. KLEINYou know, we used to all go shopping down on H Street and we had no way to get there. And the bus just wasn't the same and so all of my neighbors moved. They moved to Prince George's County. They moved out to Virginia. KLEINWell, exactly. You know, here in Washington is a great example. We had 900,000 residents. We went down to, like, 530,000 residents and I think losing our transportation system and the connected nature of our neighborhoods is a big part of the reason that people left and they left in droves. In every major city, as Sam said, we lost our streetcar network and in every major city, we also had suburban flight, post war, post World War II. KEITHI want to now go to Tim Lomax. He is joining us from his office at Texas A&M. Welcome to the program. MR. TIM LOMAXThanks very much. KEITHAnd Tim, you are -- you just released this year's Urban Mobility Scorecard, which also could possibly just be the -- a scorecard of our misery sitting alone in cars. KEITHWhat does it show us? LOMAXNationally about 7 billion hours of travel delay, 3 billion gallons of fuel wasted, on the environmental side, about -- we estimate 70 billion pounds of carbon dioxide emitted, a congestion cost -- this is just the extra travel time and extra fuel of $160 billion. For the average auto commuter, that's 42 extra hours on the road. KEITH42 hours on that road, just lost time. LOMAXRight. That doesn't include all the time that it would normally take you to get from the suburbs to the city or the, you know, one suburb to another. KEITHSo you're basically measuring, when I go to my Google map and it says this should take 20 minutes, but because there's traffic, it's going to take 45, that's what you're measuring is that difference. LOMAXWe're measuring the 25, yeah. KEITHSo where is the worst congestion? Let's make people all over the country feel bad about themselves. LOMAXWell, so we're talking in the U.S., you know. LOMAXInternationally there's lots worse congestion, but in the U.S., it's right there in the District, the area around the District so this is a pretty big urban area around Washington D.C. 82 extra hours of travel time for the average auto commuter. So folks that are walking don't spend anywhere near that much extra time. LOMAXAnd LA and San Francisco are in second and third place. New York City area is in fourth with 74 hours and Boston rounds out the top five. KEITHSo is this just a big city problem, then? LOMAXIt's not really. It's a problem all over. Certainly it's much worse in bigger cities, but you see areas not really able to deliver the kinds of transportation service solutions that are needed to accommodate growing jobs and population. It's just kind of the downside of economic prosperity. KEITHWell, and speaking of economic prosperity, there was a time when it seemed like things were maybe getting a little bit better in terms of thick gridlock during the recession. LOMAXWell, certainly during the, you know, the recession proved that one way to improve traffic congestion is to have 10 or 12 percent unemployment. I don’t think anybody wants that, but that's certainly what we saw was sort of an interruption in the growing congestion trend. But we've also seen that places like you're talking about today, the smart growth areas, denser areas inside the Beltway areas, they might see a little bit more congestion, but in return for that, you get much shorter trips. LOMAXSo there are some good parts of this data -- bad data story. KEITHSo which direction do you think this is going? Do you have any sense? Does it get better or does it get worse? LOMAXI think it gets worse. We don't seem to be able to, like I said, do, you know, do any of the solutions enough to cause it to slow down nationally. I think the real prospects for improvement are in town centers, corridors where we can provide options. We can certainly do things to get the system to operate more predictably, but I think also if you look at our job mix, we've got a lot more jobs that can be done from home or some remote office site. LOMAXAnd so one of the things that we try to point out to folks is that this isn't something you can just dump on the transit agency and the highway agency. These are things that individuals can work with their employers and even if you're not commuting three days a week instead of five, you could also commute in at 10:00 in the morning when the transit system or the roadway has more capacity. LOMAXSo it's something that I think everybody needs to take some ownership of the problem. KEITHI have to say that when I am able to work from home, I am so much more productive and it could just be because I didn't just spend an hour getting motion sick and grumpy. LOMAXRight. You're less stressed. You're more productive. Your quality of life is better. You're more likely to stick with that employer if they recognize that you've got a home life as well as a work life. That's kind of what the businesses are telling us. So this isn't traffic engineer geek speak. This is companies saying this is an aspect of employment that we want to try to offer to our folks. KEITHWell, Tim Lomax of Texas A&M University, thank you so very much for joining us on "The Diane Rehm Show." LOMAXThank you for focusing on an important issue. KEITHAnd coming up, we want to take your comments and your questions. Call us at 1-800-433-8850. Send us your email at drshow@wamu.org. Join us on Facebook or Twitter. Our handle is @drshow. Coming up very soon, more of our conversation with Sam Schwartz and Gabe Klein about smart cities and smarter ways of getting around. KEITHWelcome back. I'm Tamara Keith, sitting in for Diane Rehm. And joining me here in-studio are Sam Schwartz, the author of "Street Smart: the Rise of Cities and the Fall of Cars," and Gabe Klein, who is a former transportation head for both Washington, D.C., and Chicago and has his own book about transportation in cities coming out very soon. KEITHAnd both of you are chomping at the bit to talk about this gridlock study and give some of your thoughts about it. Do you feel like it maybe isn't measuring the right things, Sam? SCHWARTZYeah, yeah, I think it's terrific, you know, that Texas A&M does this study regularly, and I think the data's just gotten really terrific. They've teamed with INRIX. But when you're managing a city, you have to manage all forms of transportation. And I learned a good deal of this when I visited Barcelona last year, and I went to meet with the commissioner of transportation except they changed the name of the department to the commissioner of mobility. And so it no longer was so much about traffic. It was about how people moved. SCHWARTZAnd they soon learned, when they started measuring trips that took more than 10 minutes, more than 50 percent of Barcelonans took -- walked or took a bike. And so sometimes we're measuring the wrong things if we're only measuring the car. So lots of cities now are recognizing that walking is a form of transportation. Your shoes are better than, you know, a Google car in many ways, can do more things, more versatile. KEITHThese boots are made for walking? SCHWARTZThat's right, absolutely. I'm going to patent the iPed shoe. KLEINWell, look, there's a lot of -- a lot to talk about, and a lot of what Tim said I agree with. But I feel like the study, or at least the press around the study speaks broadly about the urban core or urban areas and does not -- oh, and the suburbs and sort of throws them into one basket, basically, right. So it conflates what's going on in a suburban area with an urban area, and it's very different. KLEINAnd I would argue, and this may be controversial, but I would argue that congestion is a good thing. KEITHI think you're going to have to explain that. KEITHI've tried driving through there, and it is no fun. KEITHAnd that's the point, I guess. KLEINThat's the point. That's the point. I mean, I think what we have to accept is we have a bit of a cultural problem, too, that's tied to our infrastructure. And we've built all of these roads and highways, and now we're telling people hey, we screwed up, we made a mistake, we want you to get out of your car, right. And the problem is we've sent them all these signals saying you should be in your car. KLEINAnd so it's a very tough time right now, but I think we're going to get through it. We're going to get back to our roots, to a simpler time, to a higher quality of life, where people are not spending 82 hours. I have, at the most I've had a 15-minute commute for the last 15 years, living and working in Washington, even reverse-commuting. So the quality of life issue is very important, and as Sam outlines in his book and I outline in mine, younger people are making different choices. I'm very hopeful, actually, about the next generation coming up. KEITHMillennials, young people drive less is what I hear. SCHWARTZYes, yes, and they don't just drive two or three percent less, they're driving 20 to 25 percent fewer vehicles miles. They're getting driver's licenses later or not at all. It's extraordinary that just 20 years, two-thirds of 19-year-olds had driver's licenses. Now it's less than half. And they're electing to do other things. The sign of freedom back in the 1960s when I came of age, was to have the car with the biggest fins, and I had one of those big Chevy Impalas, and that was a sign of, you know, you made it. KEITHYou'd made it to adulthood. SCHWARTZThat's right, and now they couldn't care less about the models of cars. With the Smartphone, they have an entire transit system and transportation system at their disposal. It unlocks the mystery of transit. They'll know where to get the next bus. They'll know when it's arriving. They'll know which subway car to get into, what staircase to get out of. It's an extraordinary tool. SCHWARTZGabe talked to me a few years ago, and I thought, you know, it's an interesting idea, but I didn't realize how brilliant it was that you can go to a city and create almost an overnight transit system by encouraging the marketplace to come in and provide that transit. Now there's got to be some controls, but Gabe's idea was brilliant. I didn't know it at the time. I thought it was interesting, but it turned out to be brilliant. KEITHWhat is this? Go into some depth here on this brilliant idea of yours. KLEINWell thank you, and actually it's a lot of what I write about, that cities now are really startup cities. And you have the government on one side, right, and you've got the private sector on the other, often young people with all these great ideas. And what we try to do in Washington and Chicago, you know, having come from the private sector, come from startups, coming from Zipcar and food trucks and food trucks and so on, is to try to empower these people with great ideas to plant those seeds in your city and see what works. KLEINAnd I think often bureaucrats, their first reaction is no, whether it's the traffic engineer, you know, talking about putting in a bike lane or whether it's the person in the agency deciding if you can put your food truck on the street. And so what we really tried to encourage was a very open-door policy and basically creating a nice garden bed for all these entrepreneurs to come in and plant their seeds. And you've got such great services. Now a lot of cities are doing that, you know, you have Lift and Uber and Split and Bridge and Cherry. You have all these private services, and I think we've created this mesh in cities, mesh of public and private services, first- and last-mile connectors to the backbone of the transit system. KLEINAnd it's just, you know, what Sam said is so accurate. The Smartphone is just making it so seamless and easy for people to choose what they want to choose. We don't need to dictate all the choices. We need to encourage. And so far we're encouraged by building all these roads, but in the urban cores we're not. And if you look at downtown D.C. or downtown Arlington, the number of people driving is about half of what it is in the suburbs. In fact, like 38 percent of people in D.C. don't even own a car. KEITHAnd so I think part of what you are saying is L.A., Washington, D.C., New York, San Francisco, they may have on this index the worst traffic, but maybe they're actually doing things right, also? SCHWARTZYeah, and Gabe pointed some of that out. But it's the activity. In fact there's been a correlation, and it's hard to understand fully, but the more congestion, the greater the GDP of that city. So it's a bit of excitement. To give a little example, Los Angeles, Broadway, as I said, in 1920s was a spectacular street and five years ago was a dead street. And there was a little bit of a movement to kind of bring it back. And I spoke to the L.A. DOT, and I said, well, you know, what if we allowed parking, what if we allowed for these parklets and bike lanes and other things. SCHWARTZAnd some of the engineers said, but then we would lose our level of service A, which means traffic's going as fast as you can through the street. And over the -- and I showed them pictures of State Street in Chicago, which is doing great, the great street, and it's congested. And this traffic engineer level of service, where they give an A to an empty street and think that's good, is backwards. So if you go to Broadway now in Los Angeles, you'll see all sorts of exciting things happening on Broadway, and more and more people are working there, and they're shopping there, and the congestion is greater. So I would say that is a better street now. KEITHAnd do you -- are you getting pushback when you -- do people look at you and say, you guys are -- what are you thinking? KLEINThey used to. Well, look, I mean, people are seeing success. The stuff that Sam's been pushing now for decades, the stuff that I've gotten to work on, you know, they're always -- there's always a shrill minority, first of all, in any project, right, but then you've got a lot of people that just see what they see out there in the street, and they think we've got to widen the street, or we have to do this and do that. KLEINBut when some city makes a bold move, you know, and actually puts what we call a road diet in, you know, to make it harder to drive, and then the business goes up, or you put in a bike lane or pedestrian plaza and business goes up, like New York City, the OT has tracked this, and they've seen business go up, up to 49 percent in areas where they put in protected bike lanes or pedestrian plazas. Suddenly, like the real estate people say, wait a second, this is what people want, and if this is what people want, then we're going to give them, and then we're going to charge a 10 percent or 20 percent premium. KLEINThe same thing goes for building parking in buildings, which is a whole other topic we could talk about. You know, parking and cars are the most subsidized form of transportation. We're spending up to $65,000 a pop building parking spaces in buildings that people don't want any more in urban areas. But it's induced demand, right. So you build it, they will come, and if you build car lanes, if you build parking lanes, people are -- I mean, I hate to use this term lemmings, but we are sort of lemmings. We look to each other, and we say what should we do, and we're telling people you need to go buy a car, and you need to park it in a $65,000 spot. KEITHAnd I want to now go to the phones, and Steven (PH) in Chatham, Massachusetts, Steven go ahead. STEVENYes, thanks. It's Chatham on Cape Cod. KEITHOh my gosh. You know what? I'm a Californian by trade or by training, and I'll get it eventually, this East Coast life. Steven, please go ahead with your question. 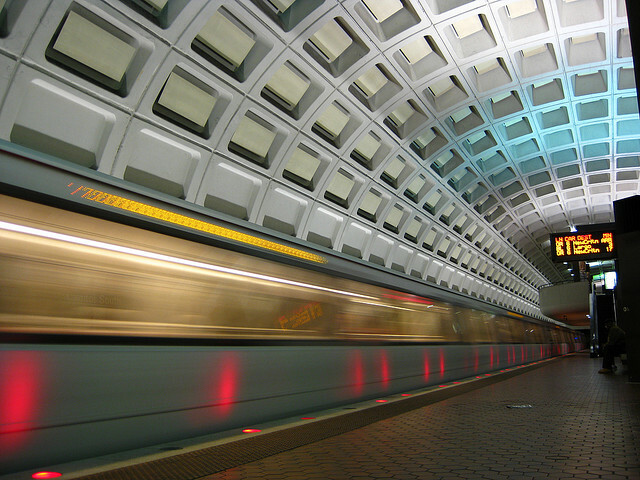 STEVENWell, before I retreated back to Cape Cod, I spent 25 years in the Washington, D.C., area and commuted all over the, you know, northern Virginia, D.C., and Prince George's County, as you mentioned before, and did my fair share of commuting and so forth. Anyway, now that I'm back, my former career down there was in public planning, as a -- for the federal government, various types of projects of course, over different agencies. STEVENBut in any event, the idea of smart planning, involving the people who would be using the streets and transportation corridors and so forth, involving them in the planning, rather than letting the traffic engineers and the experts as traditionally has been the case to tell us what we need to do, and of course your guests have explained where -- what happens when the traffic engineers are in charge. STEVENBut there are legal requirements whenever federal money is involved for public involvement, and I think a lot of people who I see, now that I'm on -- back in the real world, so to speak, that they -- the traffic engineers are pretending to involve people, but they're not really. It's kind of like we know what's best, and people aren't aware of their rights and to have a say in the public planning aspect. So that's what I wanted to say. KLEINWell, I'll respond first. Sam is a traffic engineer, and I think he's one of the most progressive out there. But I'll tell you that I've seen this close up and firsthand, and what it comes down is, you know, the traffic engineers, the lawyers, the software programmers, many people are sort of linear thinkers. And I know I'm going to get some hate mail because of what I just said. But you need to balance the creatives, the planners, with the engineers. KLEINAnd, you know, one thing I learned when I went to Chicago, to that DOT, is they had the traffic engineers reporting to the planning group. And it changed the entire dynamic of the process. And I think it's important that we listen to people and what they want and then give the people what they want instead of what we think they need. KLEINAnd another point that the caller made is we often put our projects in the hands of the quote-unquote experts, and when I used to do public meetings, I used to have a crazy idea box, I'd call it, at the front. And I wanted to encourage people who are not experts to just, you know, put in what they want, what they see off their front porch, and we got some of our best ideas by involving people who were intimidated by the process and are not quote-unquote experts but may know more than some of our planners and engineers. KEITHI'm Tamara Keith of NPR, and you're listening to the Diane Rehm Show. Sam Schwartz, are you here to defend engineering? SCHWARTZWell, I think engineers do a lot of really good things, but one of the problems with engineers, and I thought Steven was going to get to it, is their use of manuals, manuals that may have, you know, measurements that were there, and nobody can justify them, such as traffic lanes should be 12 feet wide. And when you ask a traffic engineer, they'll say because that's standard. And then you'll say, well, why is that good? And they'll say it's safer, when in fact there's no supporting evidence, and the evidence shows otherwise. SCHWARTZThey were focused. Then there's some science to that, that chaos does make people drive a little more carefully. And so we had fewer crashes where the standards were the least met and not met, they were so substandard. So engineers that just use the manual are making a mistake. There's a Manual of Uniform Traffic Control Devices, which is the Bible, the MUTCD. SCHWARTZYou wouldn't know what that is, right? KEITHIt even has a wonderful set of initials. KEITHOh, thank you for adding another acronym to this conversation. SCHWARTZNational Association of City Transportation Officials, that reflects more broad standards. KEITHLet's go to the phones again, and Peter in Cleveland, Ohio, hi Peter. PETERGood morning. I'm wondering why more departments of transportation, highway departments, don't have actual drivers advising them. It seems they have engineers, traffic study people, but people who actually use the roads are in very short supply advising them. KEITHAnd you had another question, too, right? PETERYes, I drive 50,000-plus a year for the last 40 years, and up until probably 20 years ago, construction zones were short in distance and in duration. They got the construction done quickly, and quite often in the evening or on weekends they got rid of the barrels, they swept the street, they opened the lanes. They don't seem to do that anymore. Construction zones seem to be much longer in miles and take much longer in duration, and I think that's terrible. PETERAnd living in Cleveland, I have very few choices if I want to go to the East Coast other than drive or take a plane because the train system is terrible in the Midwest. KEITHPeter, thank you for your call. We appreciate it. And Sam Schwartz? SCHWARTZYeah, Peter's driven over 2 million miles. So he really does know what he's talking about. And one of the sad things is that we've reached our peak road capacity probably in the 1970s, sometime around 1977, and ever since then we've been rebuilding our roads, and that means more and more construction zones. And more of our infrastructure is failing. So what Peter's seeing is that you have to close off larger areas, and you need more time just to set up and more time to shut it down. SCHWARTZWe're in desperate shape when it comes to the condition of our infrastructure. The interstate network has thousands of bridges that are rated structurally deficient, and some of those are what are called fracture critical, which the Minnesota was. A single element fails, the whole bridge goes down. KEITHMore on infrastructure and also smart cities and how we might get off of these roads a little bit more after the break and your calls. Please stay tuned. KEITHAnd we are talking about transportation and making our cities smarter and finding better ways to move around. And we have a bunch of emails and tweets, and I want to read some of those. Here's an email from Wesley in Greensboro, North Carolina. Wesley writes, about a year and a half ago, I had a stroke, which left me physically healthy but with affected vision. This left me unable to drive. I live in a small city, Greensboro, North Carolina, and am amazed at how easy and convenient it is to take the city bus. It's unfortunate that the city doesn't better advertise. KEITHI feel that many people who could leave their car at home and take the bus are unaware or intimidated. And then on the flipside, also from North Carolina, from Adrian, she writes, my husband and I are empty-nesters. We share a car. But living here in Durham, North Carolina, it's challenging because the public transit is sorely lacking, and the city is extremely unfriendly to bikes. How do regular citizens approach these larger entities about doing better for bikes? KEITHAnd this is Gabe Klein who responded. KLEINSure. So first of all, I think it's interesting what the writer said about Greensboro. So props to Greensboro. But like most governments, they don't necessarily do a good job of advertising or marketing what they do, and that's also something we really tried to overhaul in the cities that I worked in. And there's something called transportation demand management, which is a very fancy term for marketing. KLEINAnd when you look at places like Arlington County, which is a suburb of D.C. who has reinvented themselves as a city with more office space than downtown Dallas or Denver, and I think -- I mean, obviously they've done a lot with zoning, a lot with density, but they've also marketed what they've done. So I think there's a role for government to do a much better job there. In terms of bike-friendliness in Durham, I've actually been down there quite a few times. They are working on it. KLEINThey don't have enough bike facilities, and I think you send a clear message when you put in safe facilities that it's a place to ride. KEITHWhat do you mean by facilities, like bike lanes or protected lanes? KLEINSorry, yeah, bike lanes. And they don't really have a lot of regular bike lanes. They've tried to calm traffic, I think. But they need some protected facilities, like most cities do, in their core, so separated facilities either by cars or by plastic bollards or grade-separated we call it, so, you know, you have the sidewalk, then you have the bike lane, then you step down into the car lane. It's, like, again, you don't have to be a rocket scientist. If -- I'm looking out the window here and watching, you know, 5,000-pound vans go by, and if you're riding your bike, and that guy in the van drops his coffee and veers to the right, he's going to kill you. KEITHAnd either way, the wind from the big truck is going to hit you just a little bit. KEITHWe have a couple of more emails on another topic that I want to get to. This person writes, it's all very well to advocate for public transit, but under the present government business paradigm, fares are too high for low-income people. If this is a good approach to the problem, it must be subsidized to bring down the cost. Only this will really improve ridership. KEITHAnd then another email on a similar topic, this person writes, my son lives and works in the D.C. area. He has no desire for a car but has to pay a huge premium for renting on the metro line. Rents are so high anywhere near the subway. I'm pretty sure that especially in the San Francisco and L.A. areas that the commuters are folks that could not begin to afford to live in the city. KEITHIt is great to talk about these thriving, amazing urban centers and these walkable lifestyles, but it is not cheap. As people discover the city and move toward the city, it crowds out people who are lower income and sends them out to the suburbs. Sam Schwartz. SCHWARTZYeah, it's -- they developed this algorithm that allows them to pick up from multiple origins and multiple destinations. So if you're going to a particular location, you may share your vehicle with somebody else, and you'll be given the amount of time it will take, and it's a $5 flat fee. In terms of the subway, the subway in New York has become cheaper with Metro Card and the cost per ride is about $1.50. So it is affordable. SCHWARTZBut in all these areas, it's got to be the two things, high quality and affordable for the transit systems. In terms of the rents, it's interesting because if you add two things together, if you add the housing costs and the transportation costs, and you do that as a percentage of average income, it turns out that the cities that are most expensive for housing are the least expensive when you add the two together because transportation costs are so low. SCHWARTZThe average car costs right now are well over $10,000. So if this person can -- a year. And if this person's son can live in the city, they're saving about $10,000 a year by not owning a car and taking public transportation. So there is a tradeoff. But there is that concern that in some of the areas, certainly I've seen that in some of the big cities, the lowest income people were living very close in to the city when it seemed like nobody with income wanted to live in those areas. So yes, there is some pushing out of people, and that has to be part of the planning process. KLEINYeah, so there's a couple topics. One is transit agencies and the quality of service. And, you know, my feeling, having worked in this industry for a while now, and I'm also a rider, obviously, I think transit agencies need to do a much better job overall focusing on the customer and focusing on what people want and running themselves like a business. And I would go so far as to say that a lot of these agencies, including Metro right here in Washington, need to focus more on managing the mesh of different options out there and giving people quality service and not operating all the service. KLEINThey focus too much on physically operating the service, you know, managing thousands of people and negotiating labor contracts, and the customer gets lost in the process. And in terms of equity issues, you know, and poorer people, it's such an important issue. And as Sam was saying, you know, when you decouple the costs of housing and transportation, it's a very -- it's a vastly different picture. KLEINAnd American households spend 18 cents of every dollar on transportation, but what's interesting is when you look at poorer people, the lowest fifth of people, they spend, you know, in terms of income, they spend 36 percent of their income on transportation. And if you drill a little bit further, the majority of that is put into gas to go in their car because we've built a system that makes them feel like they have to have a car. KLEINSo they have a car, and then they all have this cost, and then when they take transit, it's like an extra cost on top of it. KEITHWell, and they -- you know, it is still, in many places, much cheaper to live in the suburbs, and you have to go out to the more distant suburb, which means you have to put more gas in your car to get back into the city to do that job. KEITHThat is completely and utterly baffling. KLEINIt is crazy, right, but when I was with Zipcar back, you know, 12 years ago, you know, we realized that, as Sam said, it's $10,000 a year to keep a car in the city when you add everything in, the car payment, the depreciation, the insurance, the scratches and dents. So if people use Zipcar, right, and then they use transit, they would spent about $150 a month. So that's a huge difference. KLEINAnd if you put -- if you go and buy a condo or a house, that's about $100,000 more condo or house you can afford. But the problem is we're not telling the story to people very well. Cities are starting to do a better job, and the cities that do it will gain more residents, I think. KEITHI want to turn to the future. I feel like we started in the past, we made it to the present, and let's go to the future, and Paul in Massachusetts, hi Paul. PAULHi, thank you. I would like to hear the panel's comment on my fear that self-driving cars are going to undo or thwart a lot of the good stuff they're talking about. And what I mean by that is that I think a lot of the cost of driving is just using up your own time for many people. And if, you know, if people can get some work done or watch a movie, they're going to be so much less hesitant to just sit in the car that it may just -- it changes the paradigm again and it'd make people drive much, much more. KEITHPaul, that is a fascinating question. Sam Schwartz? SCHWARTZYes, and I share Paul's concern. Just to give you an idea, in the state of California, they did an estimate on how many more people could get driver's licenses with self-driving cars, and it was about a million more people, including the blind, who will be able to get a driver's license to use a self-driving car. And that's many more vehicles on the road. SCHWARTZAnd I think it would be a mistake if, especially in our city centers, we just said we're going to turn it over to autonomous vehicles. Any study that's been done shows that actually increases the vehicle miles traveled, and it takes people out of our transit systems. The other thing that it does, and I remember hearing autonomous vehicle expert talk about how wonderful life was going to be, and he said imagine -- and I know he's imaging an office park, not -- certainly not a city, said imagine the self-driving car takes you to your front door, and then it goes off and parks. SCHWARTZThat's right. And so that's a fear. SCHWARTZAnd if you take a look at a city, I can probably tell you the diabetes rate if I know the modal split, meaning how many people are driving versus how many people are taking transit. There's an incredible correlation to sitting in your car and all sorts of diseases, preventable diseases. KLEINWell, it's true. I mean, look, in the late '60s, two-thirds of kids walked and biked to school. Now it's one-third. And look at child obesity rates. It's absolutely chronic. But I'm going to differ with Sam a bit on this. I mean, I think he's right to outline what a dystopic future could look like, but I do think that we can't ignore the fact that we lose 1.24 million people a year worldwide to car accidents. That's double the rate for poor people, by the way, than people in wealthier nations. And we lose 32,000 in the U.S. We are a wealthier nation. And we have the potential to zero-out those fatalities. KLEINYeah, well, okay, okay. But I think that if you don't look at the potential of transportation as a service, right, Lift, Uber, Via, Bridge, you know, all these new companies, right, if you -- if government doesn't do their job, and I think government has a huge opportunity here because transportation is a means -- I mean, technology, excuse me, is a means to an end. We can't just enable technology for the sake of technology. But we can zero-out fatalities if we can turn more of those spaces we used to use for parking back to people for walking and biking and if we can create, let's just say for example, HOV three-plus lanes in cities, where it's bus, autonomous vehicles, and it's only transportation as a service versus owned vehicles, people owning their own autonomous vehicle, then we have something really interesting. KLEINOtherwise, if we don't do our job, we could see what happened in cities again as what happened with the streetcar 60 years ago, and we could just turn our cars back over, turn our cities back over to cars, excuse me. That would not be a good outcome. But right now we have a choice, and organizations like NACTO are actually -- which I'm on the board of, is, you know, looking hard at this and looking at how cities, the federal government and industry can work together to make sure that this is not a dystopic future and is good for cities and for people, citizens. KEITHI'm Tamara Keith. You're listening to the Diane Rehm Show. And we have a tweet from Marie. She writes, what impact has Uber and Lift had on our reliance on cars? When I'm in LA, I neither rent a car nor take public transportation. I take Uber. SCHWARTZWell, in the case where Marie mentioned she no longer takes public transportation, that's taking riders away, and it's taking revenue away from public transportation. On the other hand, Uber has stepped in and offers a very good service, and I confess I take Uber, and I took Uber here in D.C. The problem is if we have too many of anything. I don't believe any particular mode is the total answer, and we don't have an infinite supply of roadway space. SCHWARTZSo we're got to be careful when all of these services come on the street at the same time and at a rapid rate that we've never seen before. KEITHI want to go back to the phones and Chris in Houston, Texas. Welcome. KEITHOkay, you just cut out briefly. Maybe keep your head still. Did you say that you are a millennial? CHRISWell, I want to put myself in the millennial area. I'm 26 years old, and I have a lot of friends that are, you know, kind of in the millennial area or, you know, around my age, as well. And they all agree, or not all of them, most of them agree that they either don't want a vehicle, or if they do have one, they try to use it as very, very little as possible. CHRISNow the thing that I find to be real interesting about that is originally when I was growing up, going to high school, I was living in a rural area south of Houston, Alvin. And that area, it's very -- you have to have a vehicle. You know, you get made fun of if you don't have a vehicle, if they see you walking on the side of the road, riding a bicycle or something like that. It's frowned upon. KEITHChris, thank you so much for your call. We think that you are, in fact, a millennial, and you are proving the point of our guests absolutely to a T.
KLEINAnd this wonderful, Houston, Texas. Isn't that great? SCHWARTZYeah, but he makes a great point. He's a product of his surroundings, right. He went from -- I grew up in a very rural place. I drove everywhere. When I live in the city, I don't drive. So, you know, we sort of build it, and they will come, and it's pretty simple. KEITHYeah, I will say that when I lived in the Fresno area in Central California, I couldn't -- you wouldn't want to walk between the Wal-Mart and the Home Depot in the same strip mall because people would look at you funny or shout out the window because they were like, what, a pedestrian. It's very different in other places, and I think it's changing even there. KLEINAnd those are the places that are going to be winning in the future. KEITHWell, this has been the Diane Rehm Show. I want to thank our guests. Sam Schwartz is the former New York City traffic commissioner and chief engineer at the New York City Department of Transportation. He is the author of the book "Street Smart: the Rise of Cities and the Fall of Cars." 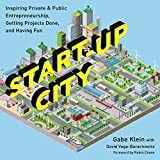 And Gabe Klein is the former head of transportation for both Washington, D.C., and Chicago, and he's the author of the soon-to-be-released book "Start-Up City: Inspiring Private and Public Entrepreneurship, Getting Projects Done, and Having Fun." I'm Tamara Keith of NPR, sitting in for Diane Rehm. Thanks so much for listening.